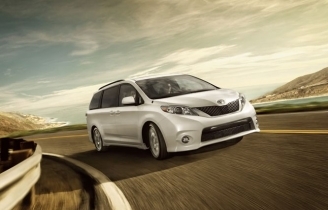 When looking for Birmingham Airport car hire - let BestCarHire tell you how. We find you the best car rental deals in the UK and also bring you some important information about Birmingham, with maps of Birmingham Airport. Birmingham is major city, based in the West Midlands of England. With a population of just over one million residents, Birmingham is best know for it's traditional engineering roots, it's world famous International Convention Centre, National Exhibition Centre, it's football team Birmingham City, oh and eighties pop idols Duran Duran! There is plenty to do in Birmingham - the world famous Cadbury World chocolate museum, the Black Country Living Museum, canal cruising, the Birmingham Literature Festival and much more. The currency in the UK is the Pound Sterling. Birmingham Airport is located 5.5 NM east southeast of Birmingham city centre, at Bickenhill in the Metropolitan Borough of Solihull. The airport is the base for airlines Flybe, Ryanair, Monarch, Thomson Airways and Thomas Cook Airlines. For those returning rental vehicles, Birmingham Airport is situated at the heart of the UK Motorway network, located just off Junction 6 of the M42 via the A45. Birmingham Airport is keen to ensure that the holdays get off to a flying start and have introduced a couple of unique elements to help keep the kids entetained, whilst waiting for their flight. First there is Sky Side - a unique interactive experience for the whole family, and then there is Zoom the Sky Cadet, who will meet and greet the kids, as well as giving away some freebies! On top of this the airport has commissioned their Great Volunteers available to help with any enquiries. 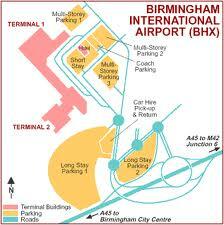 We would like to thank you for giving us the opportunity to assist with your Birmingham Airport car hire. Also try our new Motorhome rental site HolidayCampervan.com.